Coop57 is a cooperative for ethical financial services with the objective of financing projects in the social and solidarity economy. It was created in Barcelona in 1995 from a compensation fund that former employees of the publishing house Bruguera received when the company went bankrupt. In the following years, the organisation gradually increased its member base and typology. In the second half of the 2000s, it also opened territorial sections in other regions of the peninsula. Coop57 act as a financial intermediary: it collects savings from citizens and channels them into social economy initiatives that promote employment, solidarity and sustainability. How would you describe the scene of cooperative economy in Madrid? While Barcelona, for instance, has an old tradition of cooperatives, in Madrid they have only begun to emerge in the past decade and their impact is more limited in the city. Recently, many of these small cooperatives decided to merge, organisationally and spatially as well, understanding that they can be much stronger together. Spatially it is reflected by the creation of bigger cooperative spaces like Colaboratorio or Barcenter that also act as umbrella organisations, second-grade cooperatives. 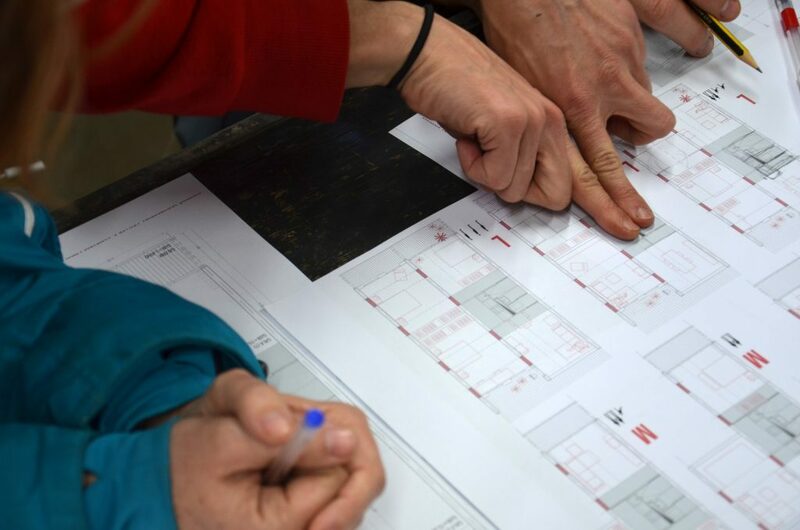 La traviesa, our space, is one of these cooperative spaces, the second biggest collaborative project in Madrid, hosting about 15 initiatives, mostly social enterprises and cooperatives. One of them is Dinamia where I work, a consultancy cooperative of around 50 people, working on various social projects and citizen participation processes. All organisations here are very different, but we are trying to create synergies between them, and we also have spaces for meetings and assemblies.These social co-working spaces respond to needs coming from the social economy sector. Another need of the sector was to have appropriate financial services to improve social economy initiatives, this is why we founded Coop57. Coop57 was born in Catalonia in the 1990s. It is a cooperative: not a credit cooperative but a financial services cooperative, and this is an important distinction because it is not a bank and therefore it is not regulated by bank laws. This means, for example, that the money that people put into the co-operative is not protected by a government guarantee, it is only protected by the solvency of the cooperative, but at the same time, we are an independent cooperative, we operate from outside the regular banking system, and have more flexibility. We work like a bank but try to finance projects with different criteria than conventional banks. What are the criteria for the selected projects and how do you support them? We can only support member organisations of the cooperative and we evaluate their requests according to their internal democracy, non-profit activities and dignified working conditions. 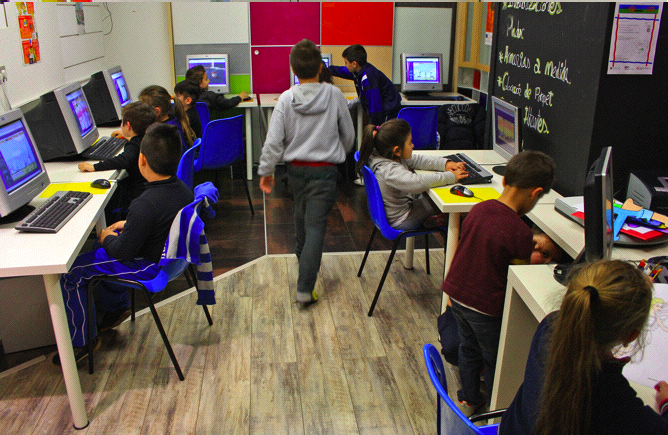 They do not have to be only social projects, we also have environmental initiatives, but the initiatives have to be a social economy entity, a cooperative or an NGO that performs some economic activity and whose organisational structure is defined by social economy principles, such as working with people with disabilities or at risk of social exclusion. To give an idea, we recently approved funding for a gardening cooperative, one of the largest in Madrid, they develop various public projects in different parts of the city. We do not support them with subsidies but with a loan of maximum 200,000 euros and different financial services. The interest rate is near the rates of the financial market, an average 6%, it is not easy to go much below that. With this revenue we pay the technical services we have in the cooperative. We also promote the collaboration between cooperatives inside Coop57 through inter-cooperative loans. When different cooperatives join in a common project, we try to make better conditions for them. What do organisations typically ask money for? About 20% of the projects we have is the advancement of subsidies. It is very typical that when an organisation has a subsidy for a project from the government, the contract is signed but the payment arrives 6 months later. Until then the organisation has to finance itself and we help them by advancing the subsidy. Other kinds of projects we have are typical investment, when a company wants to acquire goods, buy a machine or build new infrastructure, in order to increase its productive capacity and generate more jobs. Who are the members of Coop57? We have two kinds of members: around 700 social economy organisations and about 6000 individuals. Thus, individuals put their savings in the cooperative, and organisations their social capital; member organisations can present projects to be financed. We have branches in Catalunya, Basque Country, Madrid, Aragon, Andalusia and Galicia, they all have a local assembly and they start projects locally, without depending on the central services. The general council meets once a year to define the general rules and strategy. In the general national assembly, each of the 700 organisations has a vote, and individuals have delegates. We also have two technical commissions: the economical commission evaluates the risk of the project and the social commission evaluates the project’s social or environmental impact. Regarding the assemblies, the council and the technical commissions, about 90% of the work is done on a voluntary basis. It is important because most of the people managing the cooperative are members of the cooperative, as in my case: I work in the Dinamia cooperative, we are members of Coop57 in Madrid, and I am also a member of Coop57’s managing team in Madrid and some of my colleagues are part of the technical and social commissions. This is not only a matter of resources but also of governance: this way members have the control over all the activities of the organisation. How do you relate to other financial organisations and public administrations? Spain has three ethical banks. The closest to us is Fiare, we are complementary with them: while Coop57 only offers services to its members, Fiare can finance more projects but is regulated by the central bank and is less flexible than we are. We have a 98% success rate in our investments, which is much higher than in traditional financial banks. We are not a finality but a tool for initiatives, therefore we do everything possible to help and maintain the projects we support, with finding other financiers and putting in additional capital, if necessary. If an organisation gets into trouble with its project, the whole ecosystem of cooperatives is willing and able to help them. Another strategic line of our work is to support emerging projects and new initiatives that potentially have high risks. In order to provide this support, we have agreements with mutual guarantee societies from the social field, and work with public administrations to see how a municipality can support or endorse the creation of new entities or the growth of existing ones. As for public administrations, we do work on agreements within the realm of municipalismo, and aim at participating in the political changes to make use of Coop57’s financial tools in promoting the growth of social economy. We work along different lines in Catalonia, Madrid, Valencia and Aragon, to see the possibility of increasing the solvency of small companies that have difficulties in obtaining a loan because of their high risks. We also work on improving the way public administrations can support the capitalisation of these companies, through subsidising a part, while the other part is subsidised by the partners financed by Coop57. 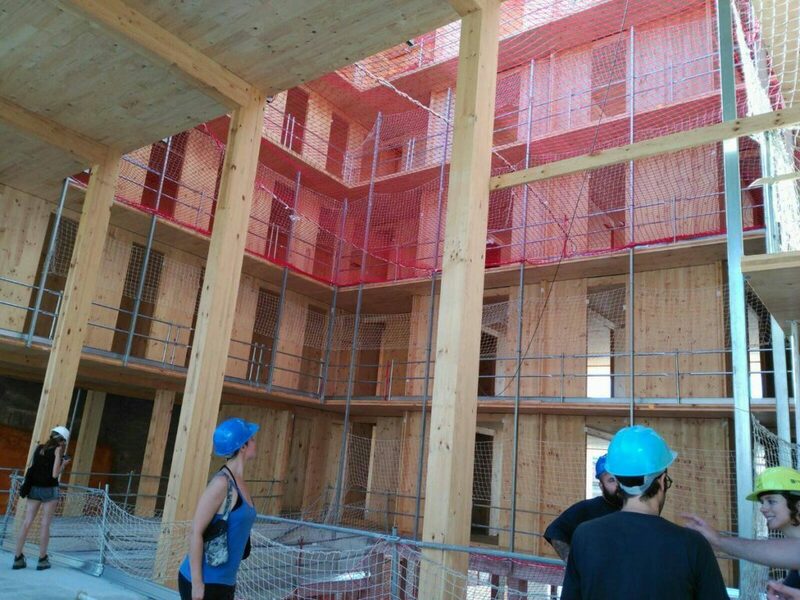 This project is already a reality in Catalonia, with “Capital Coop,” a prototype project with the regional government of Catalonia, in which the government subsidises 25% of the social capital, and Coop57 funds the remaining 75% with the help of the members. We would like to reproduce this experience in Madrid. Besides initiatives, do you also invest in the buildings they use? Usually not, but if you are a social enterprise and going to buy the industrial space you want to work in, we try to help, although it is complicated because big projects hold a lot of risks for us. We have to study the economic viability of the project, and if its is viable, we can invest in it up to 200,000 euros and we can also use our structure to look for more money, through other financiers or crowdfunding. Or we can do something with another cooperative or with Fiare, who are bigger than us and have more possibilities. In Barcelona, we recently began a fairly new and innovative project. 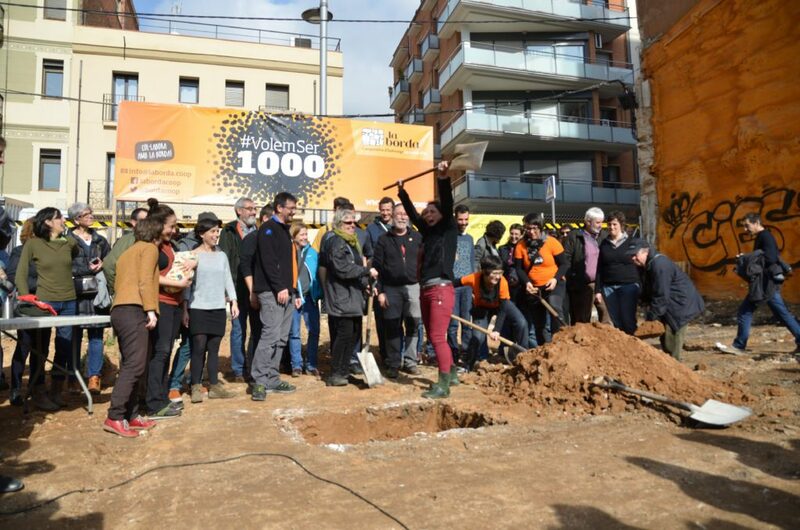 It is the financing of the construction of La Borda, a housing cooperative with 28 homes in the Can Batlló area of Barcelona, on land owned by the Barcelona municipality and leased to the housing cooperative for 75 years. To fund the investment, 865 bonds of 1000 euros each were issued, with an annual remuneration of 1,75%. In order to maintain the right to housing over time, partners enter the cooperative and make use of the housing. In La Borda, the ownership of the properties is cooperative and not individual. Although this ownership structure is known in some Northern European countries, it is novel in Spain, where for legislative and cultural reasons, shared ownership has not been very common. How could the operations of Coop57 be scaled up? After the financial crisis and the emergence of the 15M movement, because of all the debts accumulated and the resulting evacuations, people were getting angry with banks, and many of them moved their savings from regular banks to ethical banks, mainly three of those. Suddenly these ethical banks received a lot of money, a lot of capital, but there is still a gap between this money and the ideas, although there are many good ideas and social initiatives in the city. There is also a lack of a culture about business planning, of professionalising ideas, to create professional social entities. We are in the same situation. Before the 15M movement, Coop57 had a budget of about 5 million euros, and later it increased to 30 millions: we had enough capital and willingness to invest in projects but we could not find well-constructed and well-planned ideas to invest in. In the end, it is not about a lack of resources but a lack of connections between the ideas and the funds. Madrid, Uncategorized , commons, community, cooperative, economy, English, español, ethical bank, finance, Funding the Cooperative City, ownership, social and solidarity economy, social cooperative, social enterprise, video.